The future of our region depends greatly on our elected officials. This year, GGWash's Elections Committee of over 20 volunteers and staff has endorsed candidates we think will best advance urbanist priorities on transportation, housing, and other policies. The following are our endorsements for the DC Democratic primary on June 19. Our team evaluated races in each of our region's jurisdictions; you can read all endorsements and rationale at our elections 2018 homepage. You can also sign up to receive our weekly elections newsletter. Stay informed with all the important local political news this election cycle! 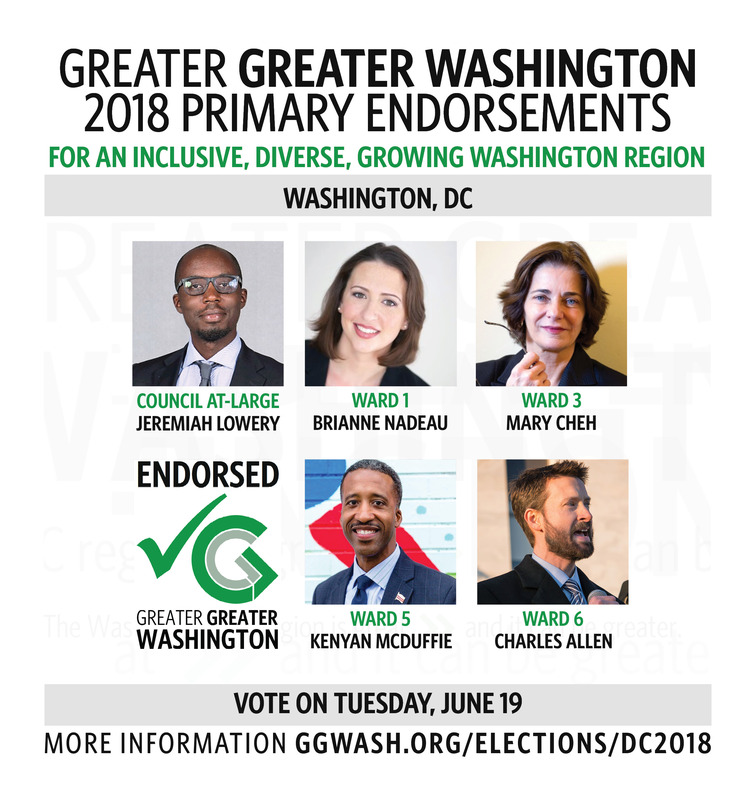 For elections outside DC, go to GGWash's Elections 2018 main page. And don't forget to vote!